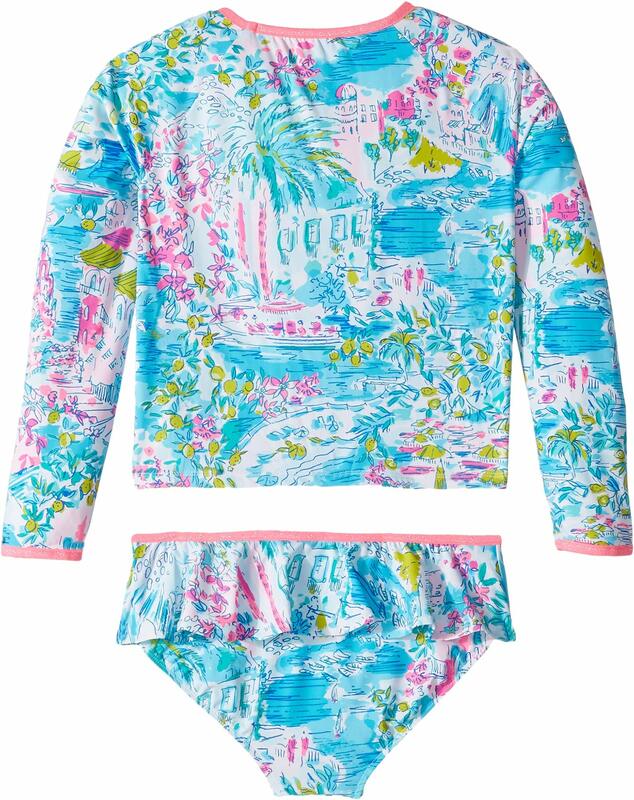 She’ll look cute, and her pores and pores and pores and skin shall be protected, all through the Lilly Pulitzer® Kids UPF 50+ Cora Rashguard Swim. Two-piece sunguard set incorporates a pullover rashguard and bikini bottoms crafted from a UPF 50+ swim fabrication. Long sleeve enchancment affords extra safety. Contrast binding ingredient on the neck and cuffs. Printed neck tag for added consolation. Ruffled detailing on the elastic waistband. 92% nylon, eight% spandex;Lining:79% nylon, 21% spandex. Machine wash chilly,lay flat to dry. Product measurements have been taken utilizing dimension 10 Big Kids. Please keep in mind that measurements may range by dimension. If you are not fully glad collectively alongside along with your buy, you is maybe welcome to return any unworn and unwashed units with tags intact and real packaging included.